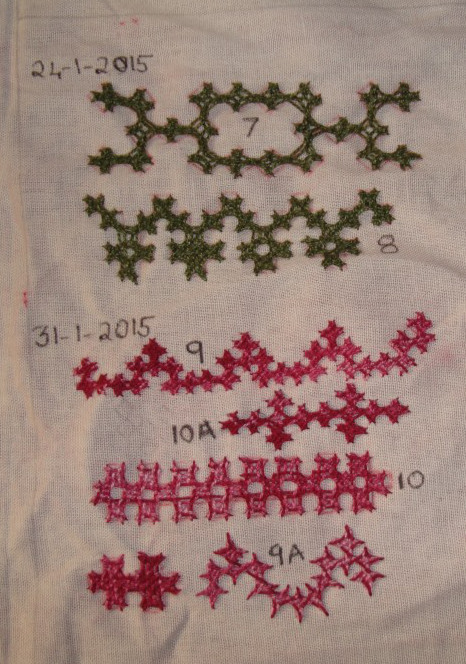 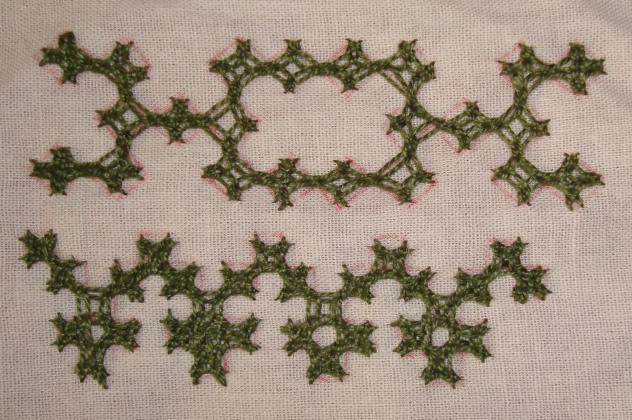 These border samples are inspired by cross stitch edges on randje per week challenge 2015. 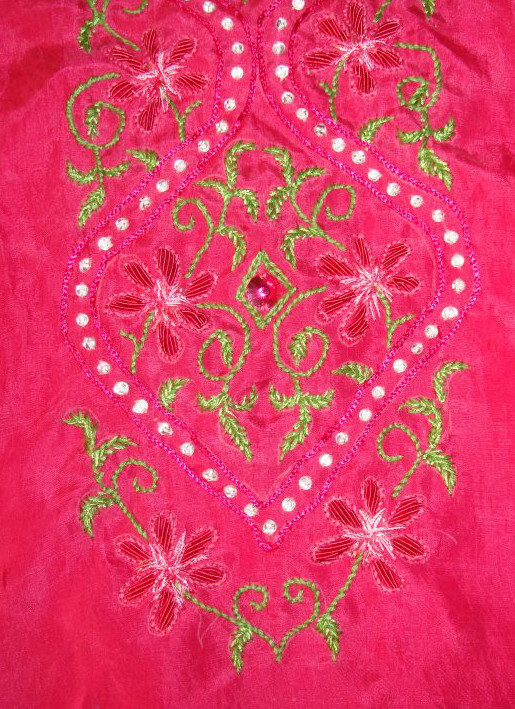 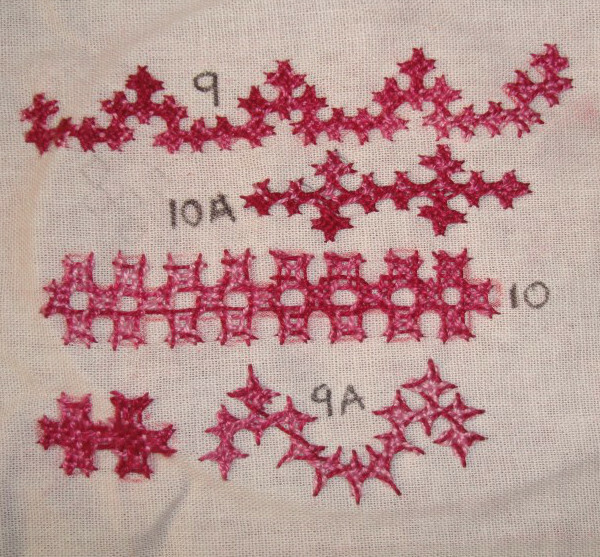 For pattern, instructions, hints visit this page. 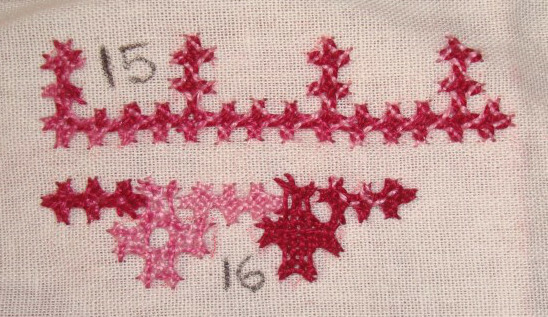 The instructions and pattern are here. 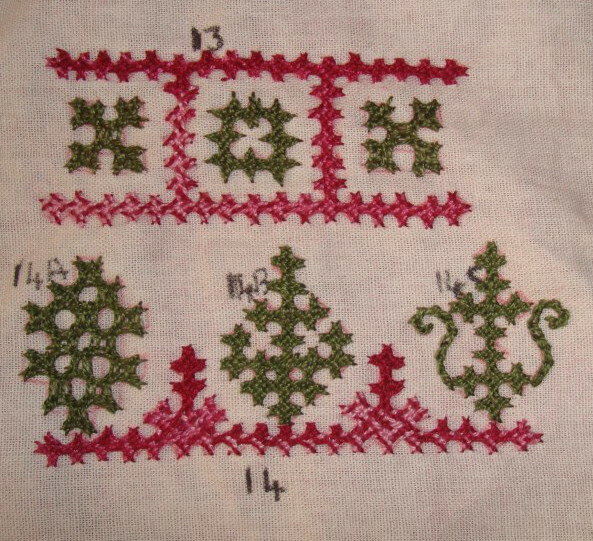 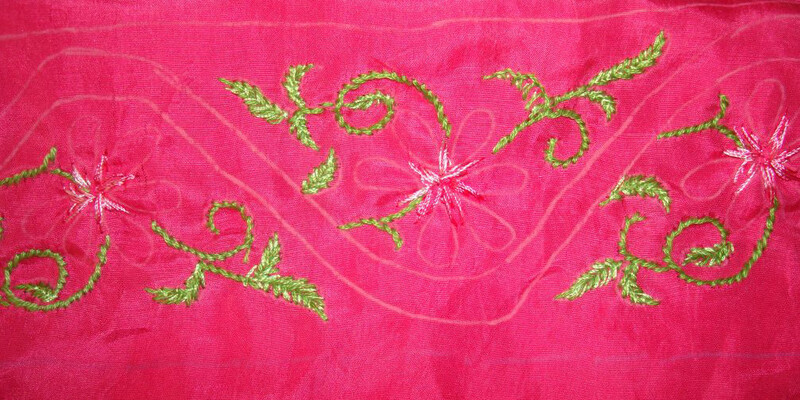 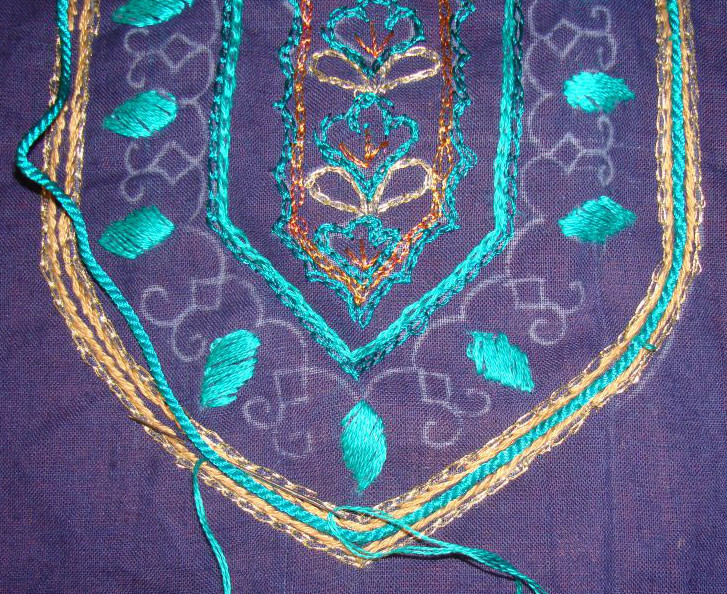 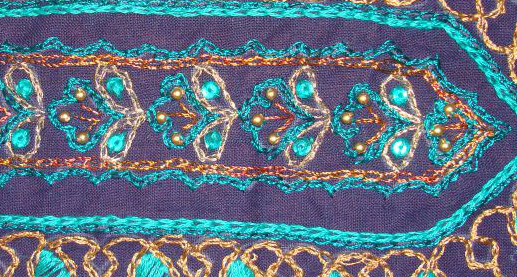 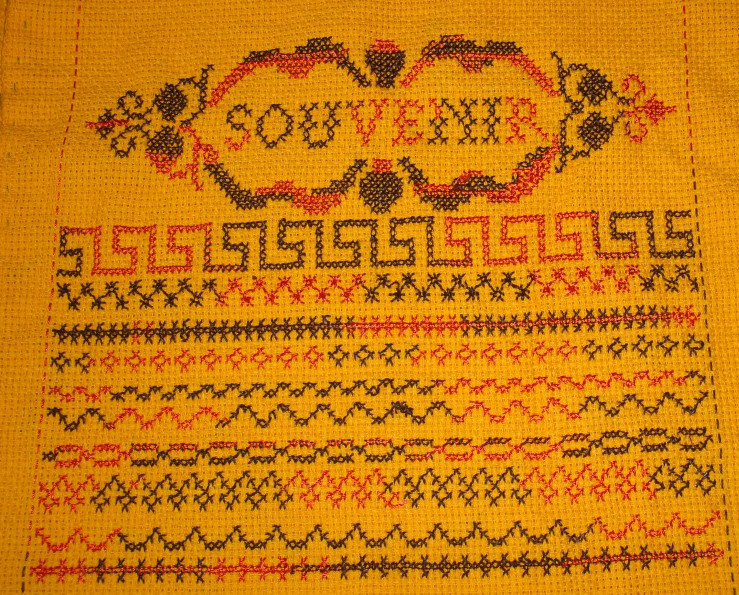 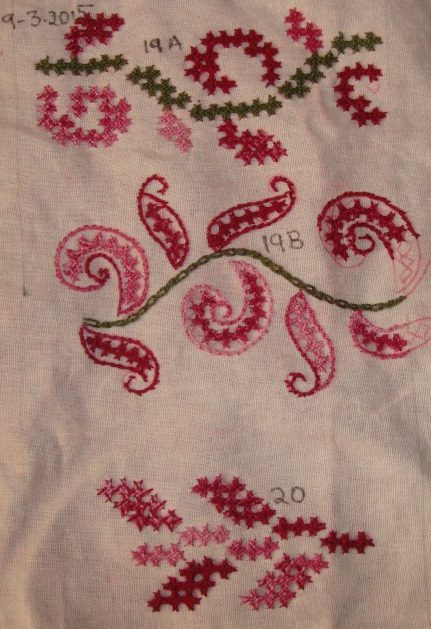 In the border # 14 the motifs are tried in three different ways.